After capturing the nation's imagination back in 2014 with their poignant display Blood Swept Lands and Seas of Red at the Tower of London, Paul Cummings and Tom Piper have once again dressed a London landmark in poppies to commemorate the First World War. Poppies: Weeping Window sees a cascade of several thousand handmade ceramic poppies pour from the domed roof at IWM London to the ground. It's a striking image that marks the end of the UK poppies tour. 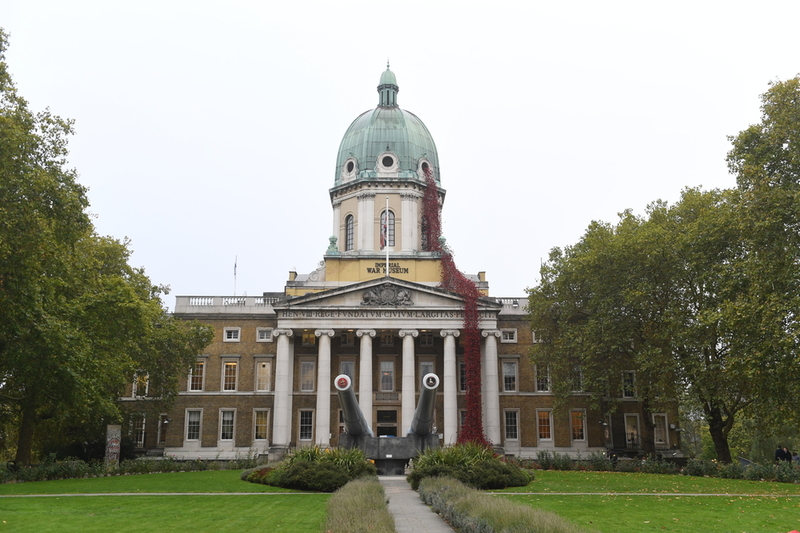 What are the best dining options near Poppies: Weeping Window London? Poppies: Weeping Window gyms, sporting activities, health & beauty and fitness. The best pubs near London Poppies: Weeping Window. Poppies: Weeping Window clubs, bars, cabaret nights, casinos and interesting nightlife. Where to have your meeting, conference, exhibition, private dining or training course near Poppies: Weeping Window. From cheap budget hotels to luxury 5 star suites see our discounts for IWM London (Imperial War Museums) hotels, including Days Hotel London Waterloo from 93% off.